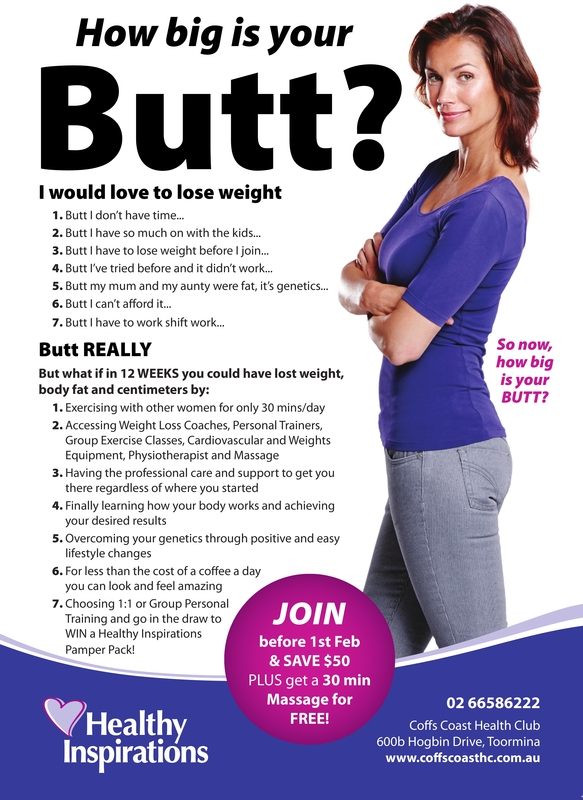 Join The 12 Week NO BUTTS Challenge! How Big Are Your BUTTS? How Big Do You Want Your BUTTS To Be? From just $20 a week, Healthy Inspirations are offering you the opportunity to Lose Your BUTTS by taking part in our NO BUTTS Challenge! 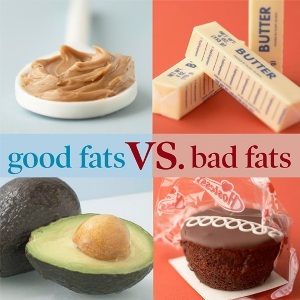 How: Call Simone 0402 202 864 or Leslie 0423 284 421 or drop in to the Healthy Inspirations office. Alternatively you can leave your details at reception on 66586222. Start Your New Fitness Career in 2015! career today in the regions most awarded health club. NEW COURSE STARTS FEBRUARY but the sooner you start, the sooner you finish! Enrolment of 15 students only, so call Tracy on 0429 695 096 or email her at coffscoast@aipt.com.au for further details & to secure your spot as we only have 8 places remaining. It’s Time To Get Back In To Classes! Our Group Exercise & Childminding Teams have recharged & are ready to help you kick start your New Years Resolutions from Friday 2nd January. As kids, we loved to get together to play with our friends. As teenagers, our world revolved around our friends; often times our friends dictated our choice of activities. 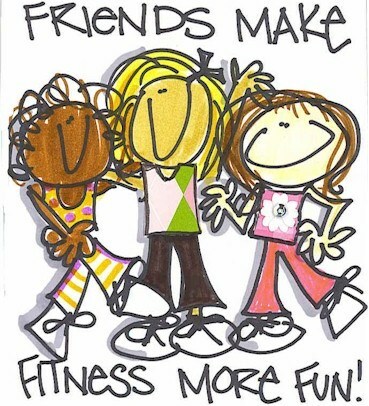 As adults, we still enjoy being active with friends, but don’t always feel like we have the time or opportunity to do so. 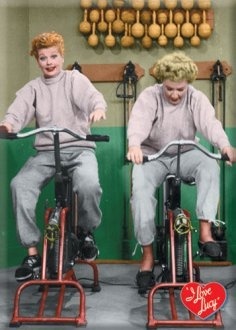 Group exercise provides us with that opportunity to feel young again and be physically active with others. Come & join in the fun in 2015 & take your results & enjoyment to the next level. 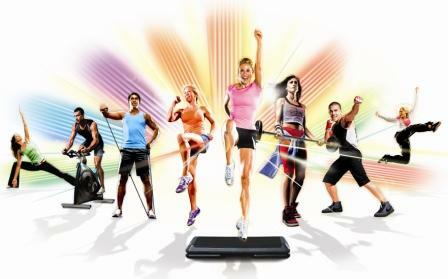 Allow the enthusiasm and energy of the group to help you fuel your workout! Support Someone with Their New Years Resolution! 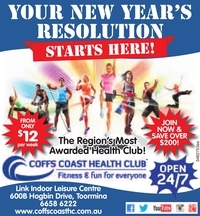 If you or anyone you know joins Coffs Coast Health Club between the 1st & the 18th of January, they will SAVE OVER $200! We know it can be hard to hold on to your New Years Resolution but it’s a hell of a lot easier if you’re doing it with someone. Training buddies can help keep you accountable, motivate you, keep you on track & provide a social relief when working out. If there is ever a time to keep up your training, burn those excess party calories or start on a new workout regime its NOW! Pass this email on to someone you would like to support, call 6658 6222, email info@coffscoasthc.com.au or just drop in & join up. He started with us straight after school in 2011, he has studied & worked in a number of roles throughout the club but you’ll probably remember him best as the friendly face at reception that made it his goal to know everyone that came through the front door. He’s spent some time away from the club soul searching but now he’s back & ready to make good. Click here to watch a quick video of his story & as from Monday 5th January he’ll be serving you at reception with a passion to make your day. Welcome back Matty! Workout With Freedom 24/7 Style! We have also done some stats recently & found that the most common times it is used is still 8-10pm weekdays, Saturday afternoons & Sunday mornings. On Christmas Day this year we amazingly registered three times as many workouts as last year at 82 & Boxing Day a staggering 207 workouts. That’s great commitment to achieving your goals, well done! Kick Start Your New Year with a Personal Trainer! They say you are what you eat, so at this time of the year we might resemble Christmas Puddings a bit… If you want to plod along on your health and fitness journey then train alone and hope. 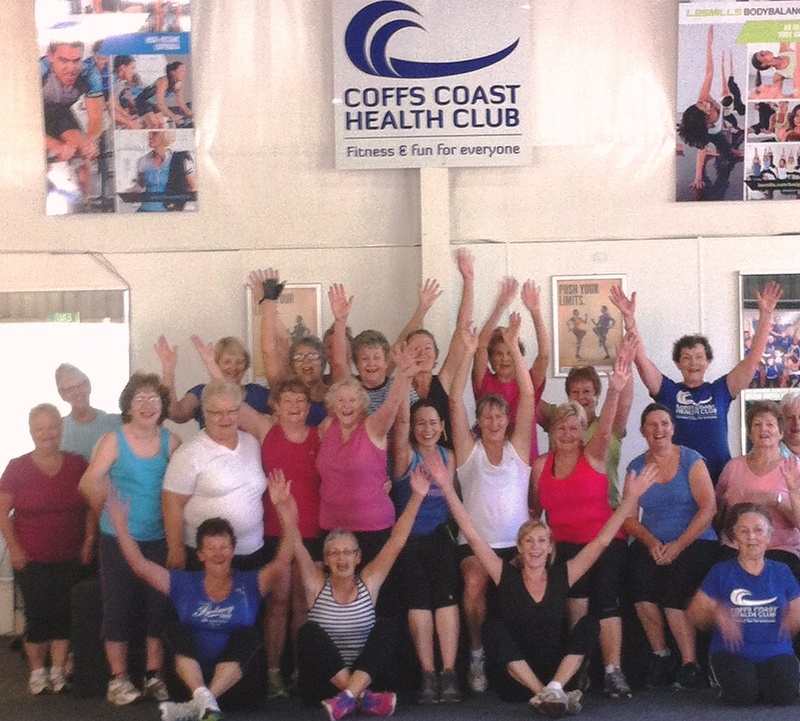 However if you want to supercharge your efforts, maximise your time, enjoy your workouts, look great and feel fantastic – get started with Coffs Coast Health Club Personal Training. Until sold out, our Personal Trainers are currently offering 3 x 30min sessions to any new client for ONLY $99! That is a massive saving but be quick because each trainer can only provide this special offer to 5 new clients. January Is The Month To Feel Kneaded! Coffs Coast Health Club Massage loves to promote wellness through massage. They can’t wait to get their hands on you and know how nice it is to be kneaded after the crazy festive season. Book in for a 30 or 60 or 90 minute massage and go in the draw to receive the same value massage for FREE in February! Call reception to book your session today on 6658 6222. The club will be closed on Monday 26th January but will remain open with normal hours, classes & childminding before & after that day. Enjoy your Australia Day, experience the great outdoors & spend some quality time with quality people. Don’t forget that all 24/7 members will be able to access the club at anytime to workout when they want. You can upgrade to a 24/7 membership at reception today for only $2 per week. Debbe Geiger could summarize her feelings about exercise in two words. “It stinks,” she’d say. But then her thinking changed when — after much urging from friends who wanted her to play with them — she joined a volleyball team. Now, she’s at the gym with a convert’s fervor on game nights because she doesn’t want to let her teammates down. “There have been lots of reasons I could have missed, and I haven’t,” says Geiger of Cary, N.C.
And just knowing that exercise is good for you doesn’t seem to be enough to get you moving. Intimidation is a factor also, experts say. When you’re out of shape, it takes courage to don workout duds and head for the gym. If any of this sounds familiar, don’t give up hope. Here are fitness inspiration tips from fitness experts and exercise converts that are guaranteed to help you learn how to love moving. So don’t start off trying to work out an hour every day. 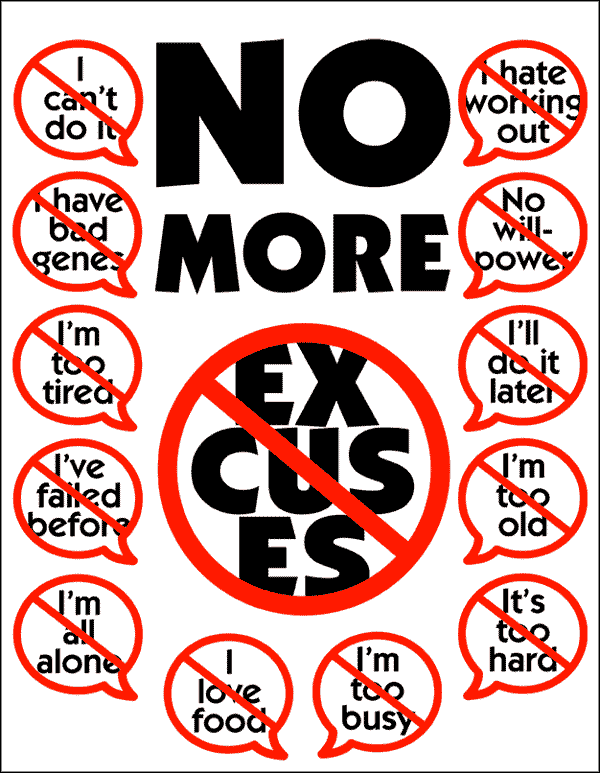 Instead, set more reasonable, achievable goals, like exercising 20 to 30 minutes two or three times a week. Remember to chart your progress, whether it’s with a high-tech online tracker or an old-school fitness journal. Seeing incremental improvements, whether it’s improved time, increased reps, or greater frequency of workouts, can boost your exercise motivation. Another pitfall is all-or-nothing thinking, a perfectionist way of looking at life that leads to giving up when you miss a day or two or your workout doesn’t go well. Endress says if you accept that there will be some sidesteps on your fitness journey, you’ll be better prepared mentally to deal with setbacks. To keep injuries from sidelining you, do your best to prevent them by warming up, cooling down, stretching properly, and not doing too much too soon. We’ve all seen those toned, fatless specimens who strut through the gym in their Barbie-sized shorts and sports bras. Don’t compare yourself to them, Endress says. Forget about them. Forgive them. But do not let them deter you from your goal. Enlist the help of your spouse, girlfriends, boyfriends, buddies — anyone who will encourage you to stay on track. “The person should be in support, but not say, ‘Why can’t you? It’s so easy,'” says Sottovia. If helpful reassurance turns into criticism, gently remind your pal that you don’t need nagging. If you need additional help, hire a trainer, she advises. Sottovia and Endress both say it’s essential to find an activity you like. With an explosion in the number and types of fitness classes at most gyms, it has become easier to find something to appeal to you, from aerobics to Zumba. If you’re not the gym type, walk around your neighborhood or try activities around the house, such as walking up and down stairs or dancing with the stars in your living room. If you’re motivated by being social, follow Geiger’s lead and join a team. You can make it easier on yourself by splitting your exercise session into two or three sessions, says Endress. Research supports the idea that this can be as beneficial as one long workout, he says. So, for example, if you don’t feel like exercising for an hour on any given day, do three sessions of 20 minutes each. Do whatever you can to remove obstacles to exercise, and make it as convenient as possible, says Sottovia. If you are time-pressed, for example, don’t spend 30 minutes driving to a gym. Try exercising at home to fitness DVDs instead. If you’re too tired to work out at the end of the day, set your alarm a little earlier and exercise in the morning. Don’t let previous bad experiences with exercise hinder you, Sottovia says. So maybe you weren’t the most athletic kid in high school and were the last chosen for class games. That was years ago. Your goal now is not to win a letter jacket or make the cheerleading squad — you want to exercise to stay healthy and enjoy your life. Try to think of indulgences that will reinforce a mind-body connection so you can savor the rewards of your hard work. Plan a short trip, or just an hour in a botanical garden. Go to a ball game. And remind yourself with each precious moment that you are enjoying this time because of all the great things you have been doing for yourself. It can be easy for us to tie our sense of self-worth to a number, to our body. Sure, our bodies are important, but we are spiritual beings inside a physical body. Without nurturing the spiritual piece of ourselves, the physical body will take precedence and our focus will be on the body and weight. This leads to thinking about how to change, control or obsess about our bodies and food. At the root of any of this thinking is an emotional need that is not being met. By taking the focus off of the scale, off of food, and off of weight, you can begin to dig deeper within. 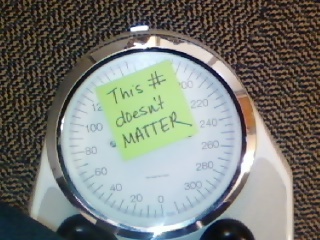 The reality is that the number on the scale has no significance. It is about your mental and emotional sanity. The physical piece will fall into place once you have the awareness and understanding as to why you obsess and focus on food and weight. 1. You are more than a number. It always amazes me how much power we can give a number. How we can give up all of our strength to something so insignificant. If you do this, you’re not alone. Remember that you are respected and loved for who you are; for the inner love you harness within and the ability to be the person you were put here to be. 2. It’s an inside job. The external world has the ability to take us out of the moment and bring us to a focus point outside of ourselves. Yet, inside is what matters. When we start looking within and allowing ourselves to feel what is coming up, we won’t look for external validation from things like the number on a scale. The validation will come from within. We will learn to trust ourselves and take ownership and responsibility over our lives. 3. Focusing on weight takes you out of being present in your life. Weight is an easy distraction for being present. We can think if only I was skinnier, more fit or weighed less then my life would be better. When we rationally think about this, there really is no connection. By staying present and taking each moment in, the need to focus on numbers and weight will start to diminish as we realize our true value and worth is much more than a number. 4. You deny others the beauty of getting to truly know you. Focusing on our weight can make our world smaller and smaller. Suddenly, we only care about ourselves and how to change the way we look. This takes us out of being there for our friends, family and co-workers. We deny these people the ability to truly get to know us. We deny ourselves that ability as well. One of the biggest myths about emotional eating is that it’s prompted by negative feelings. Yes, people often turn to food when they’re stressed out, lonely, sad, anxious, or bored. But emotional eating can be linked to positive feelings too! It’s no accident that McDonald’s named their kids deal a “Happy Meal”! 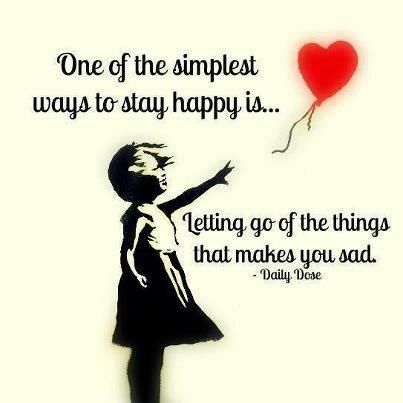 They do this to form a lifelong emotional bond between being happy and eating at McD’s, and it works! There is a huge disconnect between most Americans and their food. For the most part, we’ve stopped questioning where our food comes from, how it is raised and if it is good for our health. To a large extent, this is why our supermarkets shelves are lined with so many boxes of processed junk. And most of it is Genetically Modified (GMOs). We are the ones buying it so they keep making it! As we mentioned above, a lot of the farmers we meet are very proud of the work they do and they’re very happy to talk about it. With a little coaching (if necessary) you’re kids can ask some great questions, like- Why are you a farmer? What’s your favorite things to grow? What’s that hardest thing to grow? The easiest? Do you use chemicals or pesticides? Why, or why not? A cool side-effect of this is that the next time you go to the market your kids will remember the farmers. It’s great to make new friends, especially when their doing something as important as growing your food. Do we really have to watch Lion King one more time? The Farmers Market is a great excuse to bust away from the TV, or Xbox or Facebook, Instagram, – whatever, and get some fresh air. 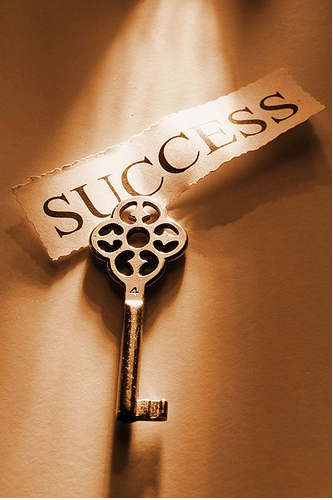 There is no ‘secret’ to success. You need discipline, perseverance, and six simple skills that anyone can (and should) build into in their daily routine. Keep your neck in line with your spine. Tuck in your chin so it doesn’t stick out. Breathe normally. To keep chest and shoulders open, keep your elbows out of your line of vision. Outdoor Personal & Small Group Training! Our brilliant personal training team are pleased to announce that they can now train you outside, anywhere on the Coffs Coast between Nambucca & Woolgoolga. the new training spaces available. Take advantage of our great outdoors for some added fun & workout variety. your favourite personal trainer for something different. Call your trainer directly to organise your new group or private session & start feeling the benefits today. Glen 0411 037 097, Jacqui 0421 971 155, Jenny 0409 834 420, Lee 0409 079 311, Steve 0431 077 417, Tracy 0429 695 096, Kylie 0414 257 086, Simon 0418 319 929 & Leslie 0423 284 421. 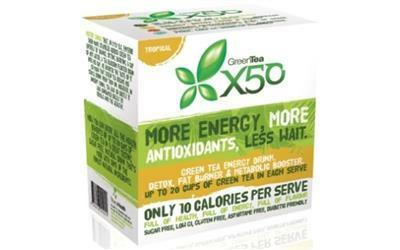 By Popular Demand – The Amazing Zero Slim & Healthy Products! you lose weight by keeping you fuller for longer and improving your health. Made of a soluble dietary glucomann fibre, scientifically proven to make you feel full faster, they can be helpful as part of any weight loss program. With only 5 calories per serve, you can eat them every day without gaining weight and improve your health at the same time. Try A New Group Exercise Class! This class is a high intensity interval training core blast to challenge and sculpt your abdominal muscles in just 30 minutes. Fridays at 10.30am and Tuesdays and Thursday at 6.30pm. Time efficient & effective! We WELCOME Michelle to our fabulous team of group exercise instructors this month. Michelle is now taking Zumba at 6.30pm on a Tuesday and 5.30pm on a Thursday night. Zumba is a fusion of latin and international music that creates a dynamo, fun and effective dance fitness class. Believe the hype, it’s a totally fun workout. New Music & New Moves were all the rage at the lastest launches. On Saturday we had a mega morning of exercise with the launches of our latest PUMP, CYCLE, ATTACK & BALANCE programs. The theme for the morning was nautical and congratulations to our best dressed members who all took away a 30 minute massage from our lovely masseuse Angela. We have 23 of these classes on our weekly timetable so come and try a class today. Members NRL Footy Tipping Update! The fight for the Champions Trophy & FREE Membership is on like Donkey Kong in the 2014 Members NRL Tipping Competition. After only a few rounds and with still plenty more remaining, the current top 4 tippers are killing it! By Popular Demand – Let’s Go Natural! This is a vegan, gluten free, dairy free, organic source of protein from 17 plant sources, with live probiotics and enzymes, without fillers, artificial flavours or synthetic nutrients. With chocolate and vanilla spiced chai flavours and 28 servings, it is also amazing value. This organic veggie juice powder is made from 34 greens, spouts and veggies, is rich in Chlorophyll, trace minerals, antioxidants, enzymes and probiotics. This mix will aid in detoxification, digestion and elimination, energy and blood glucose levels and provide immunological support. Again with natural and chocolate flavours, and 30 servings, this is The Perfect Superfood! With this being the only natural protein bar on the market free of chemicals, flavourings and preservatives, we have been lucky enough to get our hands on some 45g 180 Natural Superfood Bars, as well as the 60g WOD bars. Both the chocolate & the cocount flavours are devine! So pop on into the club this week and check out the new ALL NATURAL range to go SUPERHEALTHY! Alex Has Maximum Rehabilitation Respect Already! Alex is our NEW onsite Exercise Physiologist (EP) and graduated from the University of Gloucestershire in England with an Honours degree in Sports Science. He has only been in the club for a month but is already making huge inroads with his clients. He provides physical activity and behavioural change support for clients with conditions such as cardiovascular disease, diabetes, osteoporosis, depression, colon and prostate cancer, arthritis, chronic lung conditions and other many other health conditions. He also treats at risk clients with chronic musculoskeletal injuries like back pain or at risk of developing such a condition and requiring an exercise rehabilitation program to improve physical function or mobility. Alex works as part of your health care team (general practitioner, physiotherapist, nutritionist, exercise physiologist, personal trainer & health club) to plan and manage treatment for these conditions. He works with private clients as well as those that receive rebates from Enhanced Primary Care (EPC) plans available from your general practitioner, workers compensation, department of veterans affairs, medicare and private health insurance companies. Call Alex on 0432 563 516 or email info@alexlawrencerehabilitation.com to have a chat about your needs today. ~ Did you know that massage and touch stimulate the release of endorphins which are the body’s natural pain killers? ~ Did you know that having a 60 minute massage can provide the same benefits as 7-8 hours of sleep for your body? 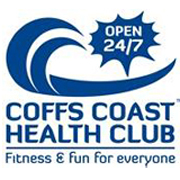 ~ Did you know that a 10 pack of massage or 12 week massage membership at Coffs Coast Health Club purchased during the month of April, will not only give you the above benefits but will also get you in the draw to WIN 3 x 60 minute massages and a relaxation CD? So don’t be an April Fool and miss out, book yours at reception on 6658 6222. School Holidays, Easter & Anzac Day – It’s All Happening In April! The club will be closed from Easter Friday 18th April through until Easter Monday 21st April & again on Anzac Day Friday 25th April but will remain open with normal hours, classes & childminding before & after those days. 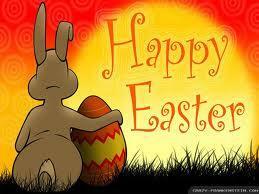 Enjoy your Easter period & Anzac Day, experience the great outdoors & spend some quality time with quality people. 2. Change your perception—see the root cause as a blessing in disguise. 4. Channel your discontent into an immediate positive action—make some calls about new job opportunities, or walk to the community center to volunteer. 14. If possible, express your anger to the person who offended you. Communicating how you feel may help you move on. Keep in mind that you can’t control how to offender responds; you can only control how clearly and kindly you express yourself. 19. Wear a rubber band on your wrist, and gently flick it when you start obsessing on angry thoughts. This trains your mind to associate that type of persistent negativity with something unpleasant. 37. Imagine your life 10 years from now. Then look twenty years into the future, and then thirty. Realize that many of the things you’re worrying about don’t really matter in the grand scheme of things. It’s a long list, but there’s much left to be said! Can you think of anything to add to this list—other areas of life where we need to practice letting go, and other techniques to start doing it right now?